Ever since the dawn of the BYOD era, personal and business data have comingled. 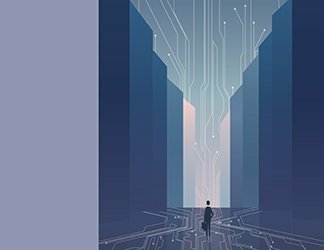 Enterprise security pros need to not only secure company-owned devices; they must also protect the business data that ends up, inevitably, on smartphones, tablets and laptops that the employees own and carry everywhere. 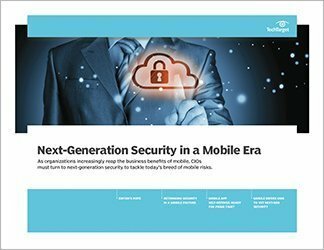 This technical guide considers in depth two recent security concerns: the security risks created by insecure implementation of cloud backups by mobile and the phenomena known as BYOD mobile app data slurping. 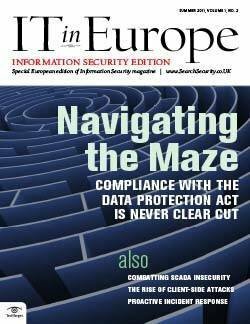 Then, in our concluding chapter, we consider the best means to approaching mobile data protection today. 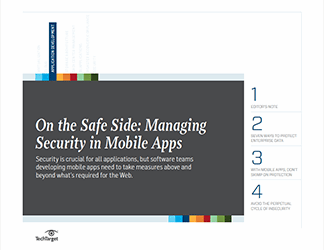 We cover how to approach creating a mobile application security program that employees will accept and follow. We also consider when and how to employ a mobile app reputation service, in order to weed out which apps are likely malicious. Specific tools for mobile protection -- mobile device management and mobile application management tools -- are also discussed. 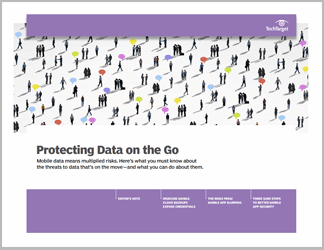 This technical guide provides a collection of information on the latest threats to mobile data as well as advice on how to ensure your enterprise has the best mobile app security possible.